Did you ever wonder about what happens when Buenos Aires’ top mixologist and one of its foremost sommeliers join forces? Floreria Atlantico is what happens. 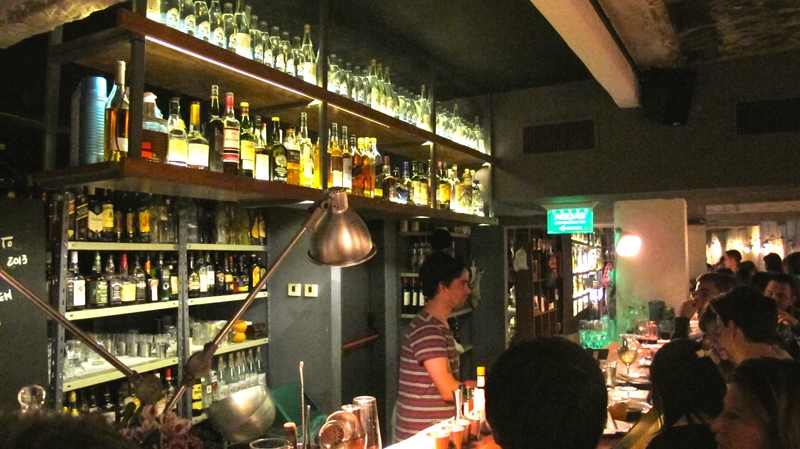 Named the best bar in Latin America, and ranked number 10 on the list of the world’s 50 best bars, Floreria Atlantico was started by sommelier extraordinaire Julian Diaz of 878 fame, and ace mixologist Renato Giovannoni. The result: an unassuming flower shop with a fancy underground, always-crowded, speakeasy which serves sophisticated drinks and lip smacking entrees to discerning porteños and well-heeled tourists. 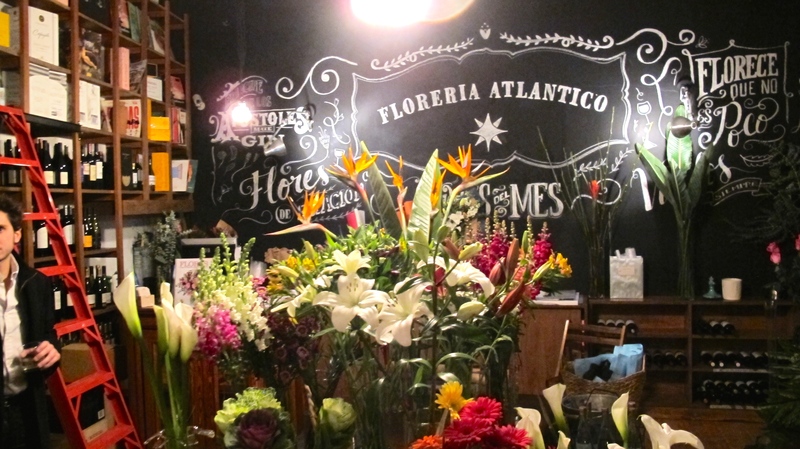 Located in Retiro, the heart of Buenos Aires’ business district, Floreria Atlantico appears to be a small flower shop on first glance. Like other flower shops, it’s small, it’s quaint, and it smells amazing. What’s different is that this flower shop has customers till 4 am in the morning. It’s a bar. It’s a restaurant. It’s everything you could ask for. As you enter, without saying anything, the lady behind the counter will point you toward a giant metal door. Excited, and probably very eager to get some alcohol in your veins, you promptly open the door, and go down a flight of stairs. You see a busy hopping corridor, lined with tables on one side, and a vibrant bar on the other. If you’re lucky, you’ll get one of the coveted spots by the bar or along the wall. If you show up during prime time (basically after 10 pm like we did), you stand around and pray for a table to open up. While you’re waiting for your spot, order something off the menu and prepare to get delighted. The menu is huge. Since Argentina is a country of immigrants (who crossed the Atlantic to arrive at the Argentine shores–hence Floreria Atlantico), each page on the menu features four innovative drinks which put an innovative twist on the classic liquors of a specific country. 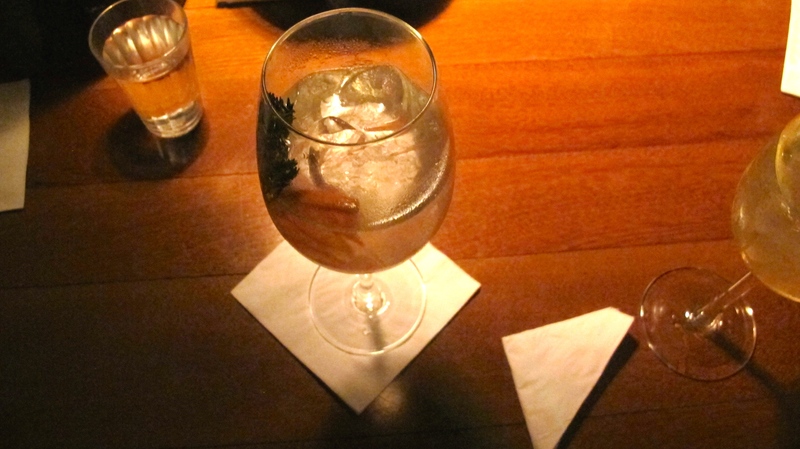 For instance, on the page of France, you will find drinks that make use of wine, cognac, and absinthe, combined with mate tea, St. Germain elderflower liquor, and other ingredients to create some really interesting flavor profiles. If you’re not a fan of wine, rum, whiskey, vodka, vermouth, or the numerous other liquors it uses, Floreria makes its own gin. 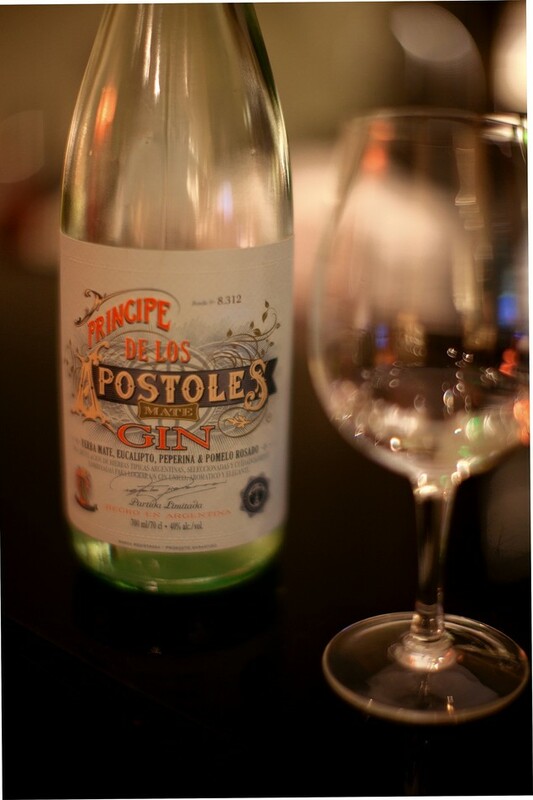 It’s called Principes de los Postoles Mate Gin. 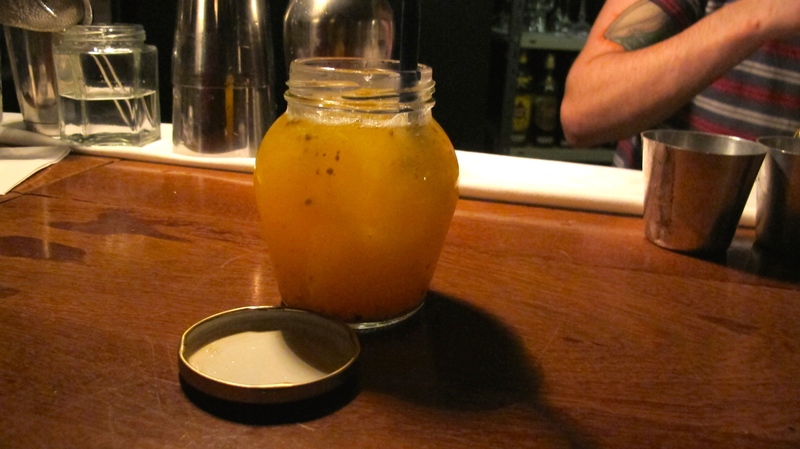 While nobody in our group tried it, there is a long list of cocktails made from the in-house liquor for you to try. 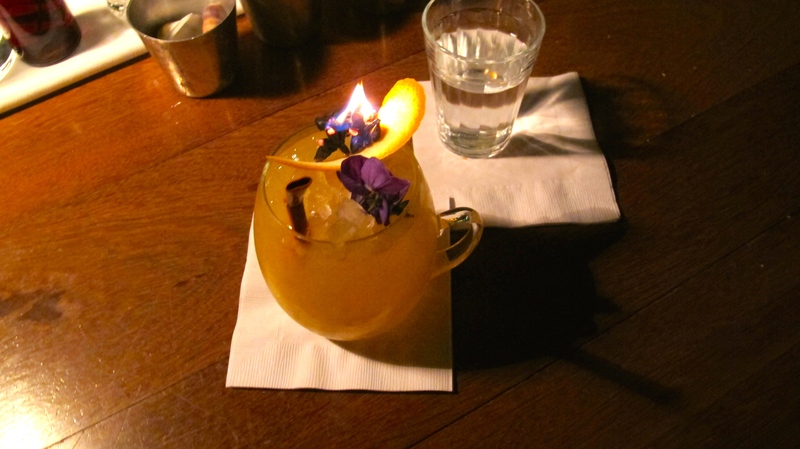 However, the drinks we did try were very impressive. YES, IT WAS ON FIRE. It was made of Cinzano dry, Cinzano Rossa, Santa Julia tempranillo, soda, lime and lemon. It was pretty alcoholic, but the flavors mixed very well together. 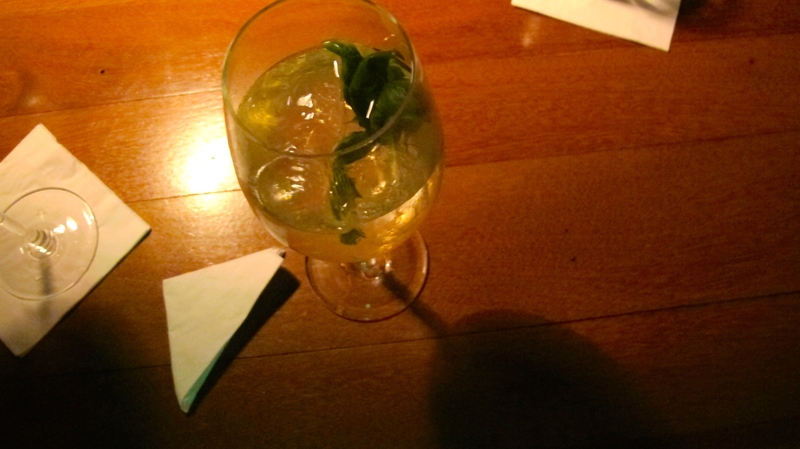 The Cinzano, which is a vermouth, and the Santa Julia white wine balanced very well together. Wow, everything about this place was amazing. The drinks were expensive, but definitely worth a try. 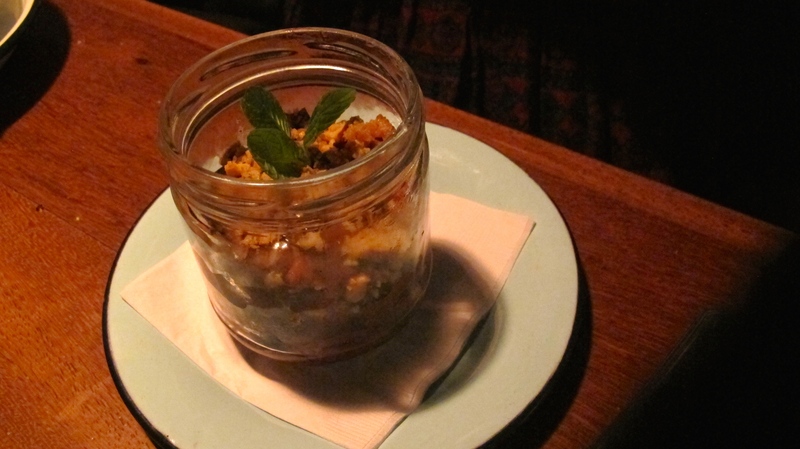 Don’t expect it to be light on your pockets, a visit to Floreria will be heavy on the wallet, but easy on the senses. Definitely 5 forks for Floreria Atlantico.